This is Common Post about the Books and Study material required for Banking Exams like IBPS PO/SO/Clerk, IBPS RRB, RBI Assistants, SBI PO/SO/Clerk, LIC AAO/ADO, National Insurance Exams etc. Although format or Scheme of these Exams keep changing but the Main syllabus remains almost Same for all the Exams i.e. Four Sections in all these exams remains same although the level of difficulty may vary in different exams. These four basic Sections are English Grammar & Composition, Reasoning, Quantitative Aptitude (Maths), General Awareness. Apart from these Computer Knowledge is also asked, Some exams ask Marketing related questions and Some ask specific banking related questions etc. In some exam Descriptive Exam is also conducted. These are 4 Basic Sections in Every Exam. Compulsory Sections. Note : Number of questions may vary in different exams Like IBPS PO asks 50 questions of Reasoning and Maths, while 40 Questions of English and General Awareness and remaining 20 related to Computers Knowledge. In SBI PO All sections English, Maths, Reasoning consists of 50 questions each and General Awareness+ Marketing+Computer consists remaining 50 questions. Number of questions may vary in different exams but books and way of preparation remains the same. Some Exams ask More Computer Questions, some ask less, Some ask Banking Questions, Some ask marketing Questions. 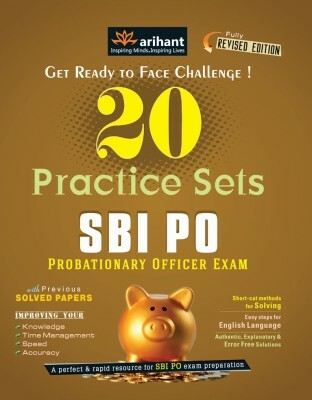 In these above sections Number of question Vary, in Some exam they ask 40 question of Computer and in some just 20 questions, Similarly Banking questions are asked in Some exams and in SBI PO/CLK they ask marketing questions. So the total number of questions vary in different exams but the thing is that these sections are very scoring so you can't ignore them. Those who qualifies the Phase 1 will be called for the Interview according to the Number of Posts or vacancies by various banks. Exam Structure of Preliminary & Mains examination. Note:- The marks obtained in the Preliminary examination will not be considered for preparing the final merit list and the marks obtained in the Main Examination will only be considered for short listing for interview. For this section you have to Read current affairs from Newspapers, magazines or Online. For this section there are not specific books so you have to keep yourself update by newspapers and magazines only. Although there are many books in the market buy don't buy them because they will be not useful for this section so better to read Current affairs from Newspaper and magazines. Here are the few best books for this section, these covers whole syllabus. This section consists 40-20 questions. These Books have basics as well as lots of questions for practice. So choose any one of these for this section. This is best book for this section without any doubt. Covers theory part and lots of Questions. This is also Very Good book covers all the topics. 3. Marketing Knowledge (Now not asked in IBPS Exams)For this section you again need to go through some Good basic books. Here are some very Good books which covers theory as well as Lots of questions for Practice. This is a very good Book and best of all the books for this section, with lots of questions and previous papers. This is A good book with very good concepts and lots of questions. Another Good by BSC publications, Strong Basics and good questions for practice. Another Good Collection of Questions by Kiran Publications. In this section they ask most of the current affair questions realeted to Economy, Commerce, Market and various Institutions.etc RBI, SEBI, IRDA etc. 1. Current updates about Economy that you do from Newspapers or Internet regularly. Although this book is for Civil Services Exam but the quality of this book is so good that it is useful for almost every exam where questions related to Economy and banking are asked. So this is a multipurpose and a must have book. So choose this one + one more from the given below So this combo will work great. It's an Amazing book. Brief and to the point type. This is a very very Good book covers every thing about Indian Banking System. A must Have Book. Another classic book by IIBF, this is a book with a great depth. Very useful one. Very Good book with lots of questions. Good book Clear and Concise with lots of questions. Another Very Good Book by BSC Publication. This section consists of 50 questions of Data Interpretation & Analysis. For solving Data Interpretation & Analysis one need to understand and analyse the problem then to answer the questions. Fast calculations, percentage, ratio, proportion, loss & profit etc are the basic concepts are needed to solve this section. This section need more and more Practice. This section consists of Coding-Decoding, Direction based tests, Dictionary (Alphabet) test, Maths operations, inequalities, Sitting arrangement, Eligibility Test, Odd pair, Data Sufficiency, Input output, assumption-inference-conclusion, Course of Action, Cause effect, Strong/weak argument, Syllogism, and non-verbal (image based). I have found your blog while searching for the IBPS recruitment exam. It is very useful blog. as you have discussed everything in detail. the Books for the IBPS exam preparation are really helpful. I want to get your attention that IBPS has changed the exam pattern for the IBPS PO main exam 2017. A descriptive written test is added in the IBPS PO exam. The computer section is combined with the reasoning section. There are changes in the no. of questions, marking scheme and the time duration for the main exam. Sir, I visited you blog and found information on books for IBPS exam. I am a blogger and my blog is RRB Recruitment Form. Can you share with me best books for RRB competitive exam. 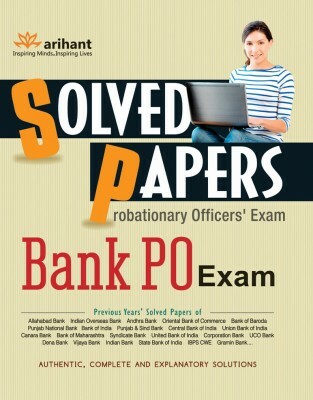 is Arihant books good for ibps .